To transfer music files to iPhone X or iPhone 8, you have to rely on iTunes, which can sync music from iTunes library to your iPhone easily. But if you don't want to use iTunes and want to find an alternative way to copy music to iPhone X/8 from other phones, we highly recommend the iPhone Music Transfer for you to easily and quickly copy music to iPhone X or iPhone 8/8 Plus in an absolutely efficient and simple way. iPhone Music Transfer makes the music transfer from other phones to iPhone X or iPhone 8 is not a complex thing. 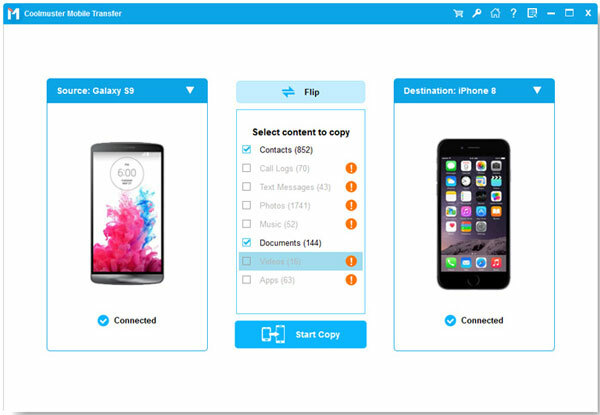 It enables you to transfer music and songs, as well as contacts, text messages, photos, videos, call logs, apps and more between the two phones in one click. 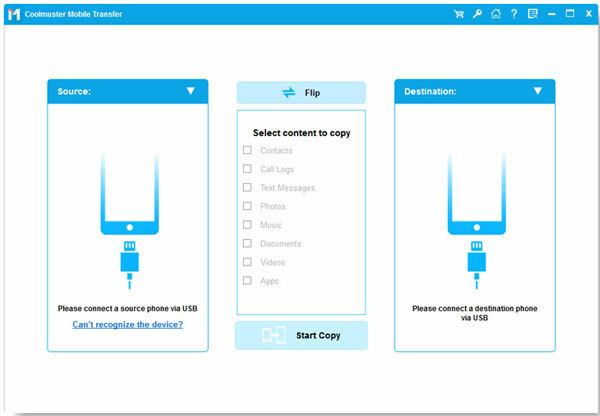 It is also capable of transferring your phone data to computer for backup, and restore the backup file back to your phone with ease. It supports all iOS, Android and Symbian devices. Read the following guide to see how to use the iPhone Music Transfer to transfer music to iPhone X or iPhone 8 from other phones, such as iPhone 7/7 Plus/6S/6/5S/5 or Android phones like Samsung, HTC, Sony, Huawei, etc. Launch the installed iPhone Music Transfer and click "Phone to Phone Transfer" section from the primary interface. Then, connect your old phone and new iPhone X or iPhone 8 to the computer via two USB cables simultaneously. The two connected phones will be detected by the software and displayed side by side. In the middle of them, there are all types of files you can transfer now. Just select the "Music" tab if you only want to transfer music files to iPhone X/8. After above options, you can directly give a click on the "Start Transfer" to transfer all the music and songs from your old phone to the new iPhone X or iPhone 8/8 Plus. Here will be a transfer progress bar shows you when the transfer will be finished. Note: Make sure the new iPhone X or iPhone 8 is located on the right, if not, you can click the "Flip" button to switch their places. And you can cancel the transfer process whenever you want.